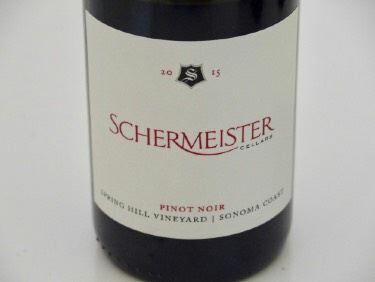 This winery is a Study in Willamette Valley Terroir, focused on exploring unique flavors and textures of the Willamette Valley’s diverse appellations. Winemaker and proprietor Tom Fitzpatrick believes a wine is shaped equally by one’s growing and winemaking choices. Consequently, at the heart of Élevée is the concept of ‘winegrower’ - one part ‘winemaker’ and one part ‘grower.’ The two are inextricably linked. In 2008, after a UC Davis education and years of professionally growing and crafting wines for others in Burgundy, Napa Valley, New Zealand and Oregon, Tom was presented with an opportunity to bring his idea to life when Archery Summit’s Gary Andrus decided to sell a very special, high-density site in the Dundee Hills that he had planted back in 1998. 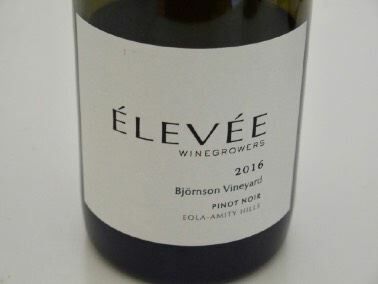 Tom purchased it and named it Élevée Vineyard. In 2016, he began directing the farming on two additional and diverse sites in the Chehalem Mountains and Eola-Amity Hills. The three vineyards are all LIVE Certified Sustainable and farmed by him. The resulting wines express the unique personality of each site and the distinct influence of each vintage, intended to exhibit the diversity and range of Willamette Valley terroir. The wines are more similar than different, but given the information in the map above, one can discern terroir-driven features. 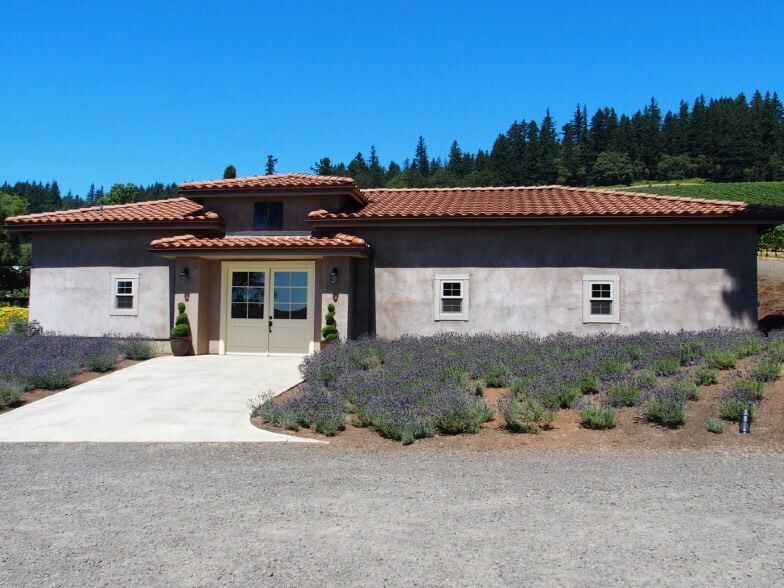 The Tasting House at Élevée Vineyard is open most weekends throughout the year. Check the website at www.eleveewine.com beforehand. You can also email to make an appointment. 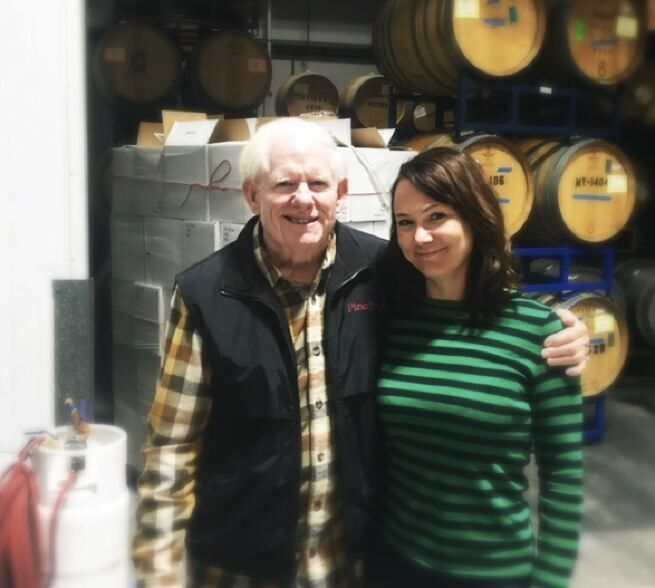 Steve and Karen Lutz along with a group of investors launched Lenné Estate in 2002 dedicated to producing Pinot Noir from a 20.9-acre vineyard located near the town of Yamhill in the Yamhill-Carlton AVA. The Estate Vineyard is planted to Dijon clones 114, 115, 667, 777 and Pommard in shallow, low vigor Peavine (sedimentary soils). The site is steeply sloped with a south-facing aspect. 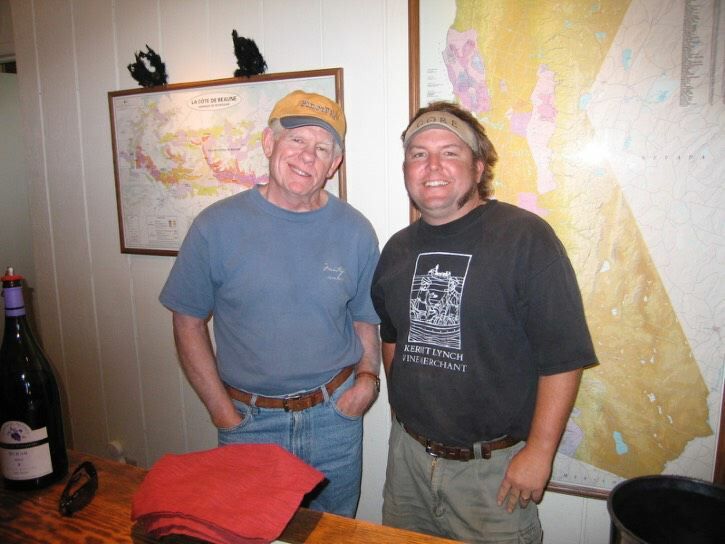 Steve is the accomplished winegrower and crafts the wines in collaboration with noted Oregon vintner David O’Reilly. Grapes are typically 100% de-stemmed, aged in French oak barrels for 10-11 months with the percentage of new oak varying but usually more in the single clone bottlings. The winery’s tasting room is open each afternoon Wednesday through Sunday and other times by appointment. The website is www.leneeestate.com. 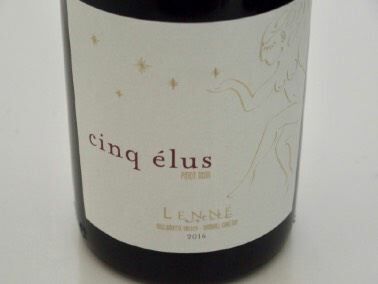 Year in and year out, Lenné Pinot Noir is about as consistently outstanding as you can find among the myriad of producers in the Willamette Valley. Mark and Tina Hammond report that 2017 was an exceptional growing season for them in the Chehalem Mountains. The summer months had plenty of warmth, but the 38-year-old Pommard clone vines are late to ripen, allowing for longer hang time and excellent fruit development. The 2-acre vineyard is divided into northern (Le nord) and southern (Le sud) sections. My experience, confirmed by the Hammonds, has been that these wines drink best after one year in bottle and ideally three years for a real leap in development. The reviews below should be taken in this context and undoubtedly will be even more engaging with more time in the cellar. Privé Vineyard is a members-only winery. Members are welcome by appointment. Non-members can visit if referred by a member. Inquire at info@privevineyard.com. 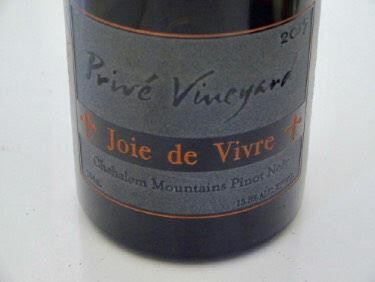 Those on the allocation list can now place orders online through the website at www.privevineyard.com. Beautifully etched magnums ($160-$240) are available. In addition to the wines reviewed here, the winery offers a Chehalem Mountains AVA Pinot Noir and a Ruby Pinot Port. This winery is a collaboration between winemaker John Grochau and winegrower Douglas Ackerman, owner of Armstrong Vineyard. 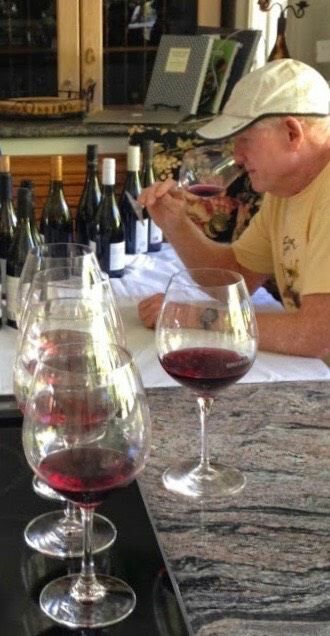 John is the winemaker and owner of Grochau Cellars in Amity, Oregon. His winemaking experience includes stints at Erath Winery and Brick House Vineyards. 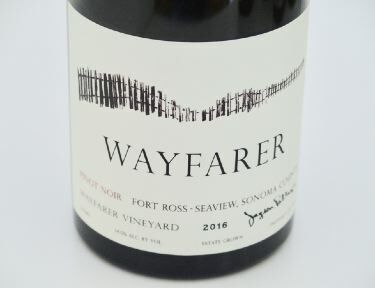 The winery name is derived from the Red Electric commuter trains that carried passengers from Portland to the communities of the Willamette Valley. 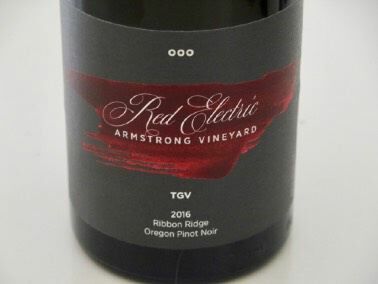 Many of these communities are now intimately associated with Oregon Pinot Noir including Sherwood, Newberg, McMinnville, Forest Grove, Carlton, Salem and Eugene. 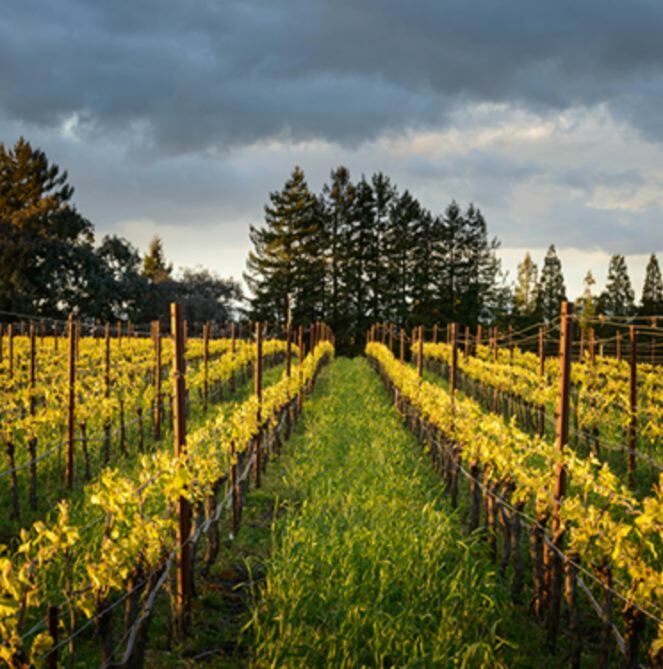 The Armstrong Vineyard was established in 2007 by Doug and Michele Ackerman in the Ribbon Ridge AVA and has been farmed organically since 2013. Soils are the classic ancient sedimentary Willakenzie series found in this AVA. 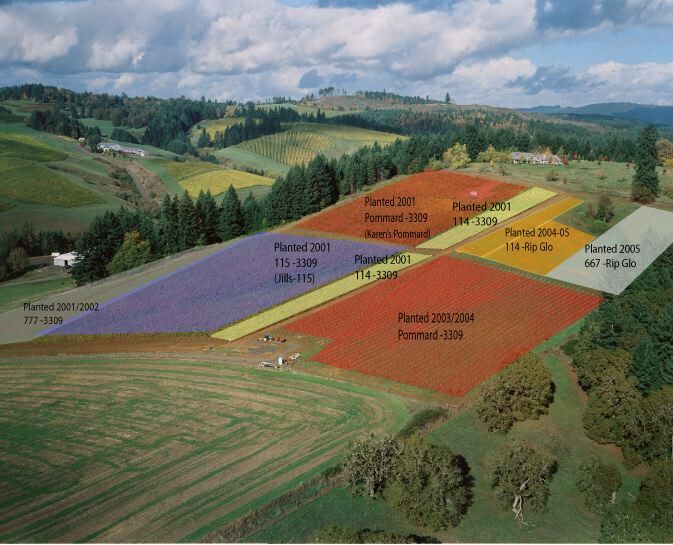 The planted clones include Pommard, Wädenswil, and Dijon 114, 115, 667 and 777. In 2017, one acre was grafted over to Chardonnay, primarily Mt Eden clone, with scion wood sources from Cameron and Johan wineries. During the first five years of grape production, the fruit was sold to local wineries including Native Flora, Seven of Hearts, Cameron and Ayres. 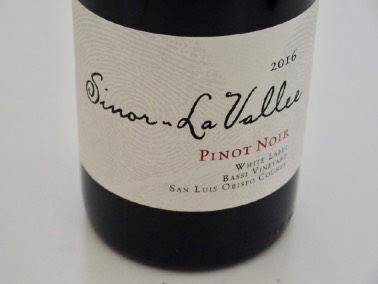 Pinot Noir winemaker principles include a moderate use of whole cluster fermentation when stems are optimally lignified, native yeast fermentation, acidulation only when necessary, and limited use of new oak barrels. 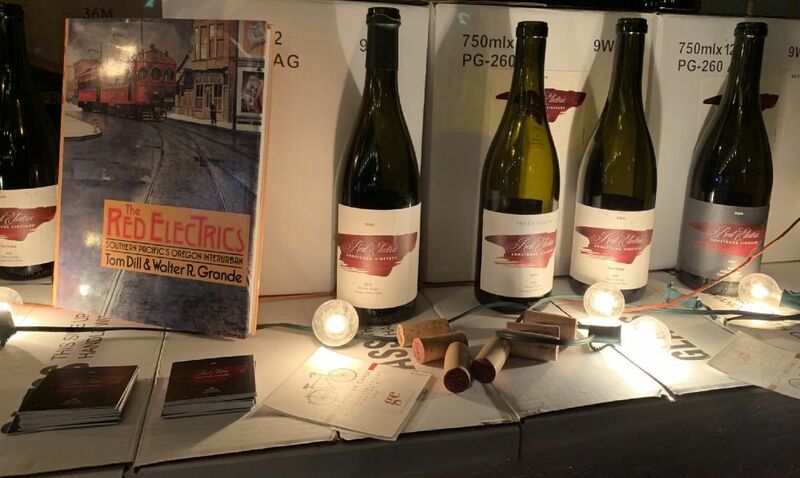 For more details on Red Electric or to purchase wine, email redelectricwines@gmail.com. A new, promising discovery for me, Sylvanus Estate is a small family vineyard located in the foothills of the Coast Range. The vineyard has a unique microclimate, situated at the very western edge of the Yamhill-Carlton AVA in Moores Valley, with cooler temperatures and more days of sunshine than typical Yamhill-Carlton sites. It is the only vineyard in Moores Valley. Sylvanus means “Of the Forest” in Latin, an appropriate name for a vineyard surrounded on three sides by Oregon Firs. The winery proprietors are Christian and Lisa McDonald Eddleman, sixth and seventh generation Texans, whose love of Pinot Noir led them halfway a ross the world to study viticulture and enology at Lincoln University in New Zealand. 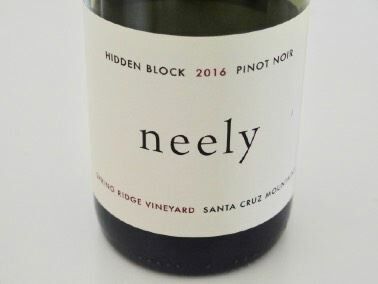 After working in the wine industry in New Zealand, they were led back to Oregon as they considered it the most suitable place to make Pinot Noir. 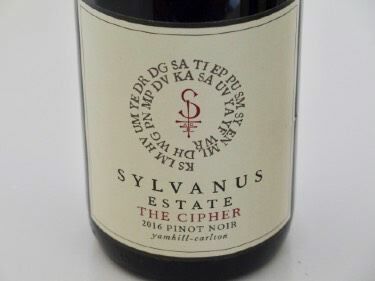 Consulting winemaker Drew Voit says that the Sylvanus Estate Vineyard offers the highest level of stem lignification he has ever seen in the Willamette Valley so he employs significant whole cluster fermentation in some of the Estate wines. 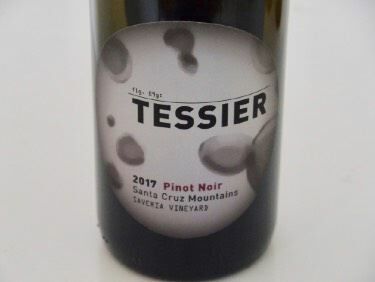 I have written extensively about the use of whole cluster fermentation in the vinification of Pinot Noir and I am a fan of its benefits. I recently read the results of an investigation by Anthony Fikkers proprietor and winemaker of small Yarra Valley wine producer Fikkers Wines at www.winetitles.com.au. In 2018, Fikkers looked at the use of whole cluster fermentation in Burgundy, Beaujolais and the Rhone Valley in France using a travel scholarship. His conclusions are presented here. Many of the producers told Fikkers that using whole clusters in red fermentation brings freshness and personality to their wines. French vintners cited other advantages including the creation of uniqueness and the merger of fruit and tannin giving wines a more seamless character. Most of the producers use the oldest vine parcels for whole cluster fermentation because the old vines produce the smallest bunches and berries. Many producers said that not all vineyards produce fruit suitable for whole cluster fermentation due to naturally high tannins. For example, at Domaine Cecile Tremblay in Burgundy, Cecile Tremblay does not use whole clusters in her wines from Nuits Saint-George because the vineyards are already very tannic, but in Chambolle Musigny she uses 100% whole clusters because the approach suits the terroir. Most producers who use less than 100% whole cluster mix whole clusters and de-stemmed fruit through the fermenter. They destem the more inferior fruit found at the sorting table. A small number of producers put whole clusters on the bottom of the fermenter, but no one put them on top of the ferments. Several producers avoid adding sulfur dioxide to fruit, particularly before fermentation, feeling that sulfur can harden tannins, particularly stem tannins, which can result in a hard, unbalanced wine. A Burgundy domain with a long history of 100% whole cluster fermentation is participating in a trial with a major university in France, comparing the tannin profiles of 100% whole cluster wines with wines from completely de-stemmed fruit. The whole cluster barrels show more energy and purity, with tannin supporting the fruit, while the de-stemmed wine was much more tannic. A higher concentration of certain tannins in the whole cluster wines was found to taste sweet. This study, while not completely disclosed, may challenge the current accusation of whole-cluster haters that claim the technique will only result in harsh, green tannins. All Sylvanus Estate wines are considered barrel select wines. The Cipher bottling displays a unique cipher encircling the printer’s mark. With cleverness, patience and an understanding of its story, the cipher is solvable. ,p> Vineyard tours and tastings are available by appointment. The wines are highly allocated due to very limited quantities. Visit www.sylvanusestate.com. Chardonnay continues to be by far the most popular varietal among American wine consumers. According to estimates by The Nielsen Company, Chardonnay represented an estimated 19 percent of table wine volume purchased in U.S. food stores in 2017. Sales of this leading varietal increase every year. In 2017, the state had 94,452 acres planted to Chardonnay. Monterey County led California counties with 16,969 acres and Sonoma County was a close second at 15,617 acres. 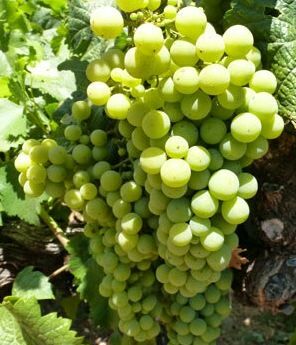 Most Chardonnay vineyards were uprooted during Prohibition when growers replaced them with thick-skinned red varieties that could be shipped cross country. Small plantings of Wente Chardonnay survived Prohibition. Ernest and Herman Wente took over the family business after Prohibition and developed the Wente Chardonnay clones that completely transformed California’s Chardonnay wine landscape. Today, over 80 percent of Chardonnay produced in California comes from some version of the Wente clone. There are at least 34 different varieties of Chardonnay identified in France and these so-called “Dijon” clones have been exported all over the world. 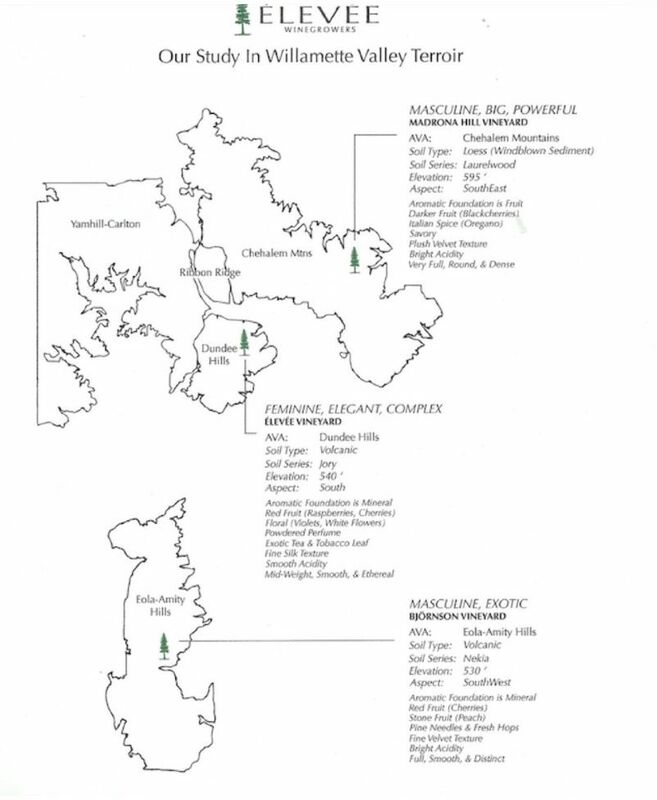 The most common Chardonnay Dijon clones are 96 and 95, both traced to Meursault, France, and 76, traced to the Saone et Loire region of France. 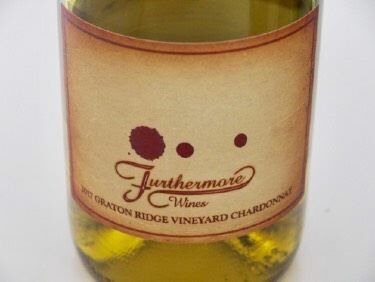 The most popular style of California Chardonnay is whole cluster pressed and barrel fermented with malolactic fermentation occurring in barrel, along with aging sur lie with battonage. The combination of malolactic fermentation and new French oak barrels leads to richer wines with a noticeably creamy texture. 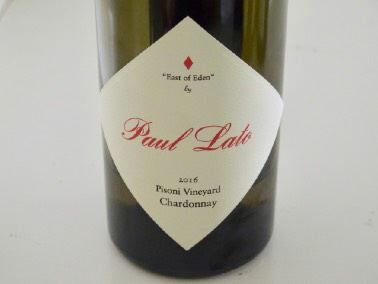 There are many variations of this theme and winemaker decisions and manipulations generally play a larger role in the vinification of Chardonnay than of Pinot Noir. It is a whole lot easier to find superb California Chardonnay than exceptional California Pinot Noir. California Chardonnay quality is so high that the consumer only needs to discover a winemaking style that appeals. Merry Edwards Winery Purchased by Champagne Louis Roederer Merry Edwards sold her winery including her 79-acre property to Roederer. Roederer already owns sparkling wine producer Roederer Estate and Schraffenberger Cellars and still wine producer Domaine Anderson in Anderson Valley. 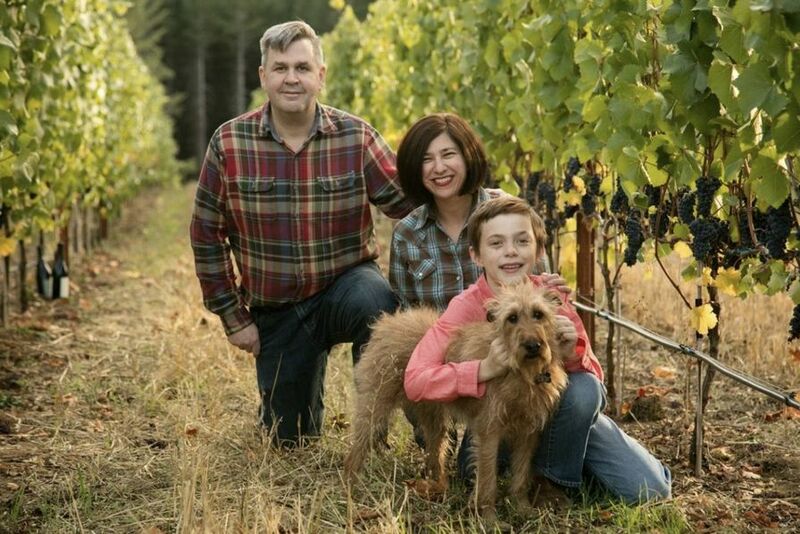 Edwrds had owned her namesake winery for 22 years, but had already embarked on a succession plan, hiring winemaker Heidi von der Mehden to replace her. Healdsburg’s Gracianna Winery Under Water after the Flood The recent flooding in the Russian River Valley left the Gracianna Tasting Room practically submerged and devastated. The winery is located in a low-lying area on Westside Road just west of the Russian River. 4,400 cases of wine were stored in the cellar including large format bottles, library wines and the owner’s personal collection. Wine that was untouched by water was saved and moved with the help of the McWilliams Family at Arista. The flood was the worst since 1995. Read the full story at www.pressdemocrat.com. Wineries in Sebastopol’s The Barlow damaged by the flood include Pax, Friedeman Wines and McPhail. Kosta Browne was spared. 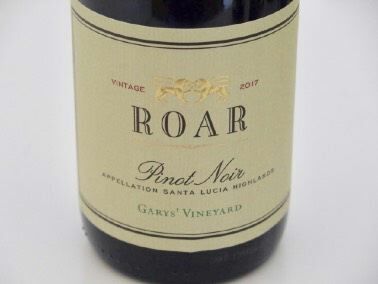 2019 Sonoma County Barrel Auction This year’s Auction will be held May 3, giving trade buyers the chance to bid on lots ranging from 5 to 20 cases. The wines will ultimately reach the cellars of collectors and trade customers. The Auction traditionally honors Icons who are vintners who have played a significant role in the winemaking history of Sonoma County. this year’s Icons are Margo Van Staaveren of Chateau St. Jean and Rod Berglund of Joseph Swan Vineyards. New this year are awards given to Innovators, forward-thinking visionaries in the Sonoma County wine business. 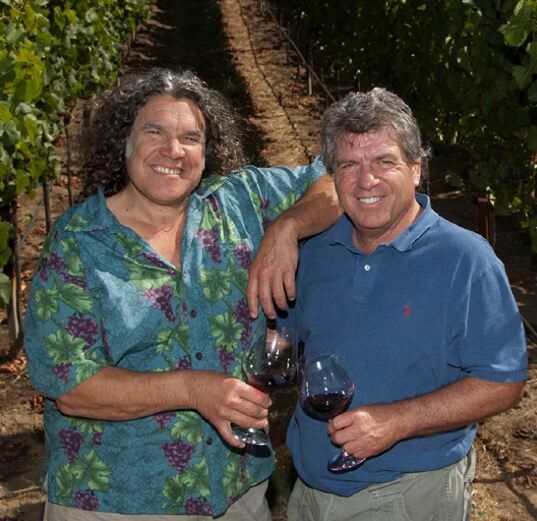 Honorees include The Duncan Family of Silver Oak Cellars and Ron Rubin of Ron Rubin Winery. Winemaker Adam Lee Looks to Concrete Aging for Pinot Noir A recent article in the Press Democrat profiled Adam and focused on his new Pinot Noir project, Clarice Wine Co. This unique winery approach enrolls a limited number of subscribers who pay $960 annually to receive a case of wine from the Santa Lucia Highlands three times a year. In return, they receive more interaction with Adam through a private online web forum. Adam has acquired concrete tanks to both ferment and age Pinot Noir in place of more expensive French oak barrels. 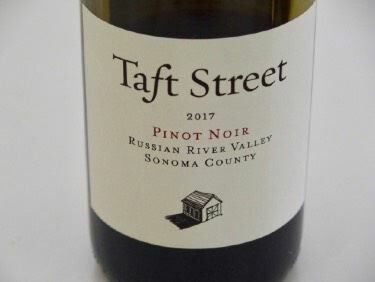 Whether this new technique will break up the long-standing marriage of Pinot Noir and oak remains to be seen. New Winemaker at White Rose Estate Oregon native Tresider Burns is the new winemaker at this Dundee Hills producer of Pinot Noir. After his enology training at Oregon State University, he was an assistant winemaker at Brittan Vineyards and also worked at Lemelson. How Many Aroma Descriptors are Possible? An article by Dwight Furrow in the Edible Arts blog at www.foodandwineaesthetics.com, discussed the description of wine aromas with reference to Gordon Shepherd’s book, Neuroenology: How the Rain Creates the Taste of Wine. Shepherd believes that most people can only identify three distinct aromas in wine, with many only able to detect one or two aromas. Furrow challenges this presumption because wine tasters do not base their aromatic description on one sniff of the wine. He reasons that experienced wine tasters can detect multiple aromas because they perform multiple inhalations over time. This is the way I review wine. That is why you will see up to five or six aroma descriptions in some wines I review. Male & Female Judges Assign Same Ratings to the Same Wines A recently released study from a professor Manuel Malfeito Ferreira at the University of Lisbon and US financial analyst Jeff Bodington, published in The Journal of Wine Economics, concluded that men and women assign much the same ratings to the same wines. Ferreira was quoted, “The difference between men and women when it comes to appreciating and judging wine is minimal or absent.” Bodington pointed out that the conclusion does not imply that genders have the same tastes or preferences when not judging. Read the article at https://www.meininger.de/en/wine-business-international/do-men-and-women-assign-different-winescores. 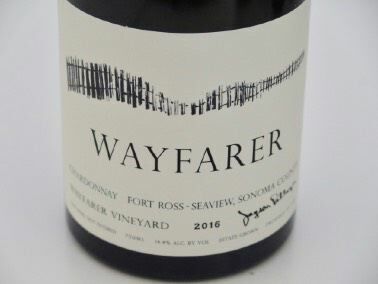 More and More Consumers Buy Wine Directly A recent article at, http://www.sfexaminer.com/wine-drinkers-opting-skip-stores-direct-shipping/ reported the results of the 2019 Direct to Consumer Wine Shipping Report sponsored by Sovos and Wines Vines Analytics. Direct to consumer (DTC) shipping increased 12 percent in 2018 from 2017. Consumers spent $3 billion to purchase wine that was shipped to them directly from the winery. 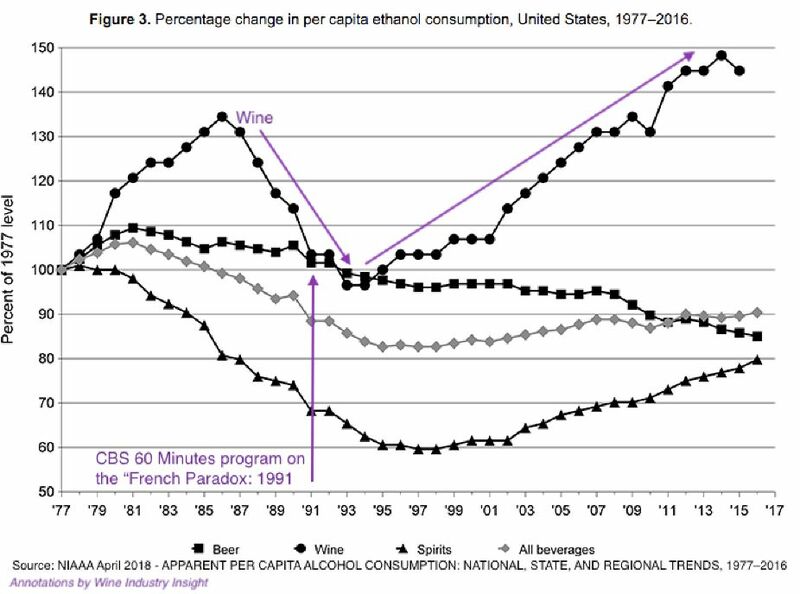 This accounted for 10 percent of all off-premises sales of wine domestically. Oklahoma lifted its ban on DTC shipping in 2018 so there are only four states that still prohibit it (Utah, Kentucky, Mississippi and Alabama). California is the most common destination followed by Texas, New York, Washington State and Florida. Sonoma County now ships more wine by volume than Napa County, and the average Sonoma County bottle price is under $30 compared to Napa’s average bottle price of over $67. Oregon and Washington State had increases in volume shipped of 19 percent and 18 percent respectively. 80 percent of the nearly 10,000 wineries in the U.S. doing most of the DTC shipping were small in size, producing under 5,000 cases a year. 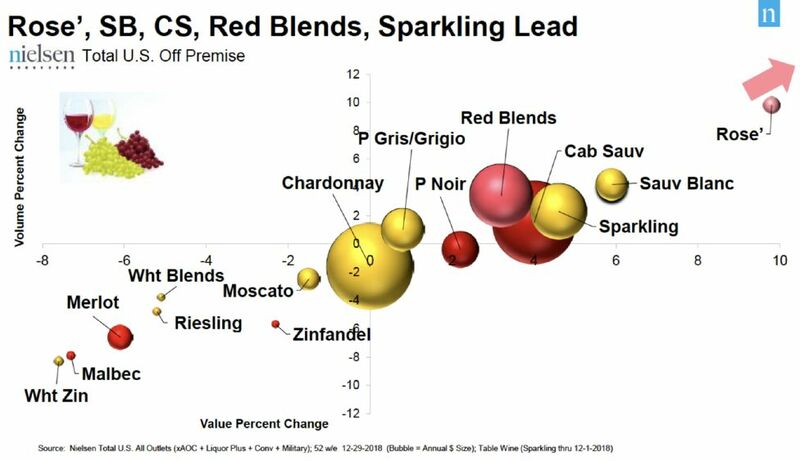 The top shipped varietals in descending order were Cabernet Sauvignon, Pinot Noir, red blends, Chardonnay and Zinfandel. Pinot Noir took over the second place in 2017. In 2018, Rosé shipments grew 24 percent in volume and 29 percent in value. More Discussion on Wine Scoring I recently wrote a feature article in the PinotFile on the declining enthusiasm by the consumer for wine scores as an indicator of wine quality. David Morrison, who writes an excellent wine blog called The Wine Gourd at www.winegourdblogspot.com, posted on February 18, 2019, “If not scores or words to describe wine quality, then what?” He points out that wine-quality scores give the illusion of being mathematical without having any useful mathematical properties. 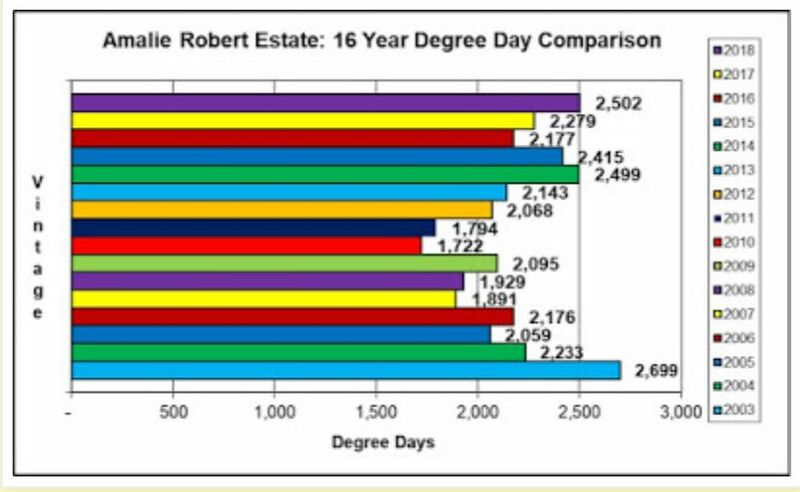 He says, “The apparent precision of the numbers gives an illusion of accuracy.” Practically speaking, quality scores are nothing more than a personal opinion used to rank wines. Morrison goes on to discuss some of the suggestions in the public arena that could replace scores and descriptions, none of which, in my opinion. have a chance of being adopted. 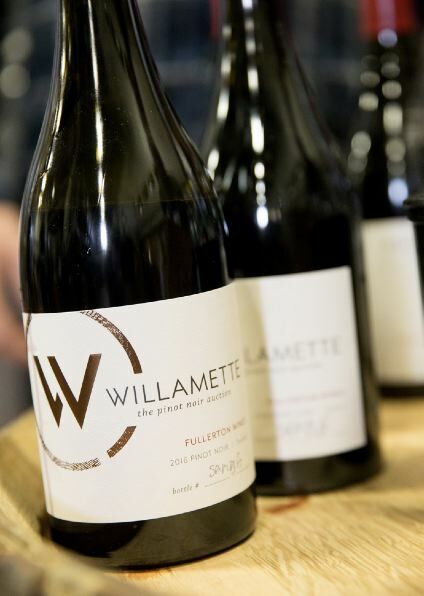 Willamette: The Pinot Noir Auction This trade-only event on April 5-6 is a 2-day series of special tastings and gatherings, culminating in a live auction. Attendees can bid on and acquire 85 one-of-a-kind- Pinot Noir lots from the 2017 vintage. There will also be six collaborative Chardonnay lots. All lots are produced in quantities of 5, 10 or 20 cases. The wines are eventually made available to consumers by the winning bidders. All proceeds from the auction support the marketing, branding and education efforts of the Willamette Valley Wineries Association. 73% of grapes grown in the Willamette Valley are Pinot Noir and 70% of wineries there produce less than 5,000 cases a year. 50% of grapes are estate grown. England the Next Big Still Pinot Noir Region? Pinot Noir is now the UK’s most widely planted grape according to WinesGB. Most of UK’s Pinot Noir goes into producing English sparkling wine. As reported in www.thedrinksbusiness.com, Sam Linter of Bolney Wine Estate said that Pinot Noir could potentially become the UK’s leading still wine. James Lambert, director of The Lyme Bay Winery, believes there will be an emphasis on still wine in the UK over the next decade. Dogs Used to Detect TCA As reported in Wine Industry Insight, http://wineindustryinsight.com/? p=97617, in February 2019, TN Coopers, a Chilean-based company has been using specially trained canines to discover TCA and other wine-ruining chemicals that may have contaminated shipments of oak stave blanks from around the world. Their initiative is dubbed Natinga Project. Now TN Coopers is bringing some of their Natinga Project Dogs to an on-site winery tour in the U.S. Labrador retrievers, former drug-sniffing dogs, are being used to detect TCA and TBA. Winery Loyalty Programs Trending Loyalty programs that reward customers for spending money on wine are replacing wine clubs at some California wineries. Accumulated points can be redeemed for private tastings and special events. Wineries using loyalty programs now include Jordan Vineyard and Winery, Francis Ford Coppola Winery, DeLoach Vineyards, and the portfolio of Foley Food & Wine Society. Vintage Wine Estates Purchases Laetitia Vineyard & Winery Vintage Wine Estates has been buying California Central Coast wineries recently, including Clayhouse Wines, Alloy Wine Works, and Qupé Winery. Records indicate the 1,986-acre real estate transaction alone totaled at least $22.3 million. The purchase also included a production facility, inventory, vineyards, tasting room and estate guest house. Current head winemaker Eric Hickey will stay on as part of the winemaking team. Travel Personalization Platform for Santa Ynez Valley Visit the Santa Ynez Valley (visitsyv.com) has launched a new partnership with Utrip enabling visitors to create unique, personalized itineraries for their trips to the region. The experience is available at www.mytrip.visitsyv.com. With over 100 wineries in the Santa Ynez Valley, planning a trip can be daunting. With Utrip’s technology, visitors can more easily find what most interests them to plan an itinerary that will ensure they get the most out of their visit. 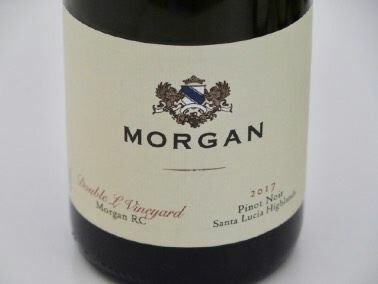 Santa Barbara Futures Return Perhaps you remember several years ago when Doug Margerum, then the owner of the Wine Cask wine shop and restaurant, organized an annual features offering of Santa Barbara County wines offered through a catalog. Consumers were able to buy pre-release wines at a discounted price. Many brands became well known as a result such as Brewer-Clifton, Paul Lato and Tensley. Margerum is now organizing a Santa Barbara County Vintners Futures Tasting March 29-31 at the Alisal Guest Ranch and Resort in the Santa Ynez Valley. An all-inclusive weekend package or single event tickets are available. All profits will fund Vino de Suenõs, Santa Barbara Vintner’s program that provides assistance to vineyard workers and their families. 84 wines from 40 wineries will be offered, with the wines representing unique cuvées that will not be commercially available. At the Grand Tasting on Saturday, the wines will be sold with a 3-bottle minimums at a 20 percent discount. The event will also feature a seminar on Saturday featuring the wines of Bien Nacido and Sanford & Benedict vineyards. For tickets to individual events, visit www.sbcountywines.com. For Alisal’s weekend package, visit www.independent.com/futures19. Winesong! 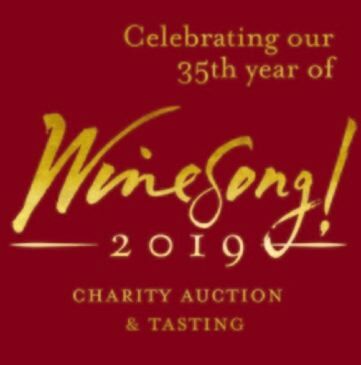 2019 The 35th Annual Winesong! weekend event on the Mendocino Coast will take place September 6-7, 2019. All proceeds are used to enhance equipment, facilities and services at the Mendocino Coast District Hospital. This two-day festival features special wines from Napa and Sonoma County, Oregon and beyond. Local breweries and cideries and regional culinary vendors also participate in in the name of charitable giving. The event will start on Friday, September 6, with A Pinot Noir Celebration that includes over 35 wineries pouring at the Little River Inn. On Saturday, September 7, the Winesong! Wine & Food Tasting will take place at Fort Bragg’s Mendocino Coast Botanical Gardens from 11-2. The centerpiece of Winesong! is the Charity Auction, which will be held on Saturday, September 7, from 11-3 (Silent Auction) and 2-5 (Live Auction). General admission is $125 and includes festival seating round the Live Auction tent. Auction Reserve tickets are $225 and include reserved seating and reserved parking. A full list of events and ticket purchase information is at www.winesong.org/events/purchase-tickets/. Wine History Project Since 2015, historians are preserving the history of San Luis Obispo vintners and winemakers and the history of Central Coast wine country. The Project collects and archives two centuries worth of, historical photographs, documents, news releases, recordings and videos. Beginning March 1, they offered an exhibit, “Wine Becomes Art,” a display of original artwork and hand-etched wine bottles, and starting March 4, a “Corkscrew Development Exhibit.” These exhibits and others are located at the Wine History Project offices at 3592 Broad Street, San Luis Obispo, CA and at the San Luis Museum of Art (SLOMA). For more information, visit www.winehistoryproject.org.